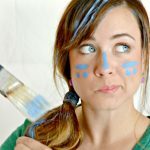 Have you ever caught yourself pacing up and down the cleaning or craft supplies aisle comparing one exorbitant price tag and flashy logo after another, and think, “There’s no way I don’t already have what I need at home?” And the answer is, yes, you most likely do have exactly what you need for many of your daily, emergency cleaning, or DIY needs. Here are some of the most creative and unexpected tricks you can achieve with common household items. This super simple trick could be a potential lifesaver when you’ve got company coming over and your little rascal decided to go full Monet on your dining room wall. Just rub a small dab of non-gel toothpaste over the mark with a cloth and rinse with warm water. Ta-da! No matter if you live on your own or have a family of twelve, empty toilet paper rolls and dryer lint simply happen all the time. Instead of throwing them away, put them to use by turning them into handy fire-starters. 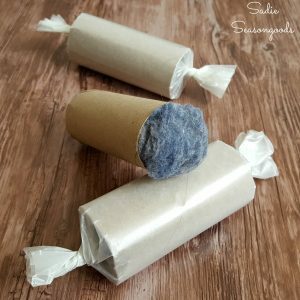 Stuff the toilet paper rolls with the dryer lint and wrap them in wax paper like a candy cracker. Bonus Tip: take these on camping trips for easy campfire kindling. 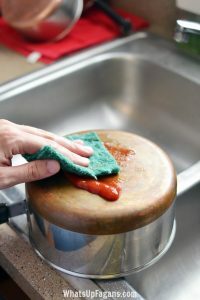 Get your copper pots and utensils to shine by squirting a glob of ketchup onto a scour pad and scrub until all of the discoloration disappears. Why does this work so well? There’s just the right amount of vinegar in the ketchup to get the job done! Indoor plants can give your space a fresh energy and pop of green, but those flecks of soil that seem to spill out the bottom every time you water them is just plain annoying. Avoid this spillage by lining the bottom of the flower pot with a coffee filter before planting, which will catch any bits of soil that try to seep through the drainage holes (but still allow for water to get through). Less mess, less stress. 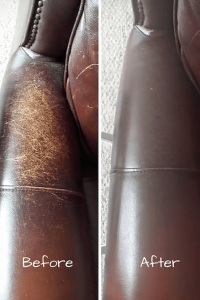 Whether your dog has roughed up the couch or your favorite belt has seen better days, olive oil is a natural, inexpensive way to recondition faded and scratched leather surfaces. Simply take a rag and a liberal amount of olive oil, evenly rub it in, and watch as the leather quickly absorbs all the moisture to look like new. Just be sure to remove any excess oil to avoided staining your clothes afterwards! Newspaper and cardboard do wonders for your garden! 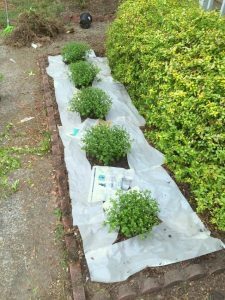 When used at the bottom of a garden bed or around new plantings, it works comparably well to pricey landscaping fabric. Be sure to wet down the newspaper to prevent it from blowing away before putting mulch on top!